This episode corresponds to Lesson 5 and Lesson 7 (coming soon) of our online course. This week we speak with Jo Zientek, Deputy Director of the Environmental Services Department at the City of San Jose, California, about their new high solids anaerobic digestion/composting and biogas facility. We take a retrospective look at the city’s achievement in order to learn about their experiences, their challenges and successes in the development and operation of the facility. We discuss the permitting process, feedstock contract awards, the advantages of public/private partnerships, and the request for proposal process in order to highlight typical key success factors and pitfalls to expect with such a project. Thank you to Zero Waste Energy Development Company LLC, and Republic Services for making this episode possible. 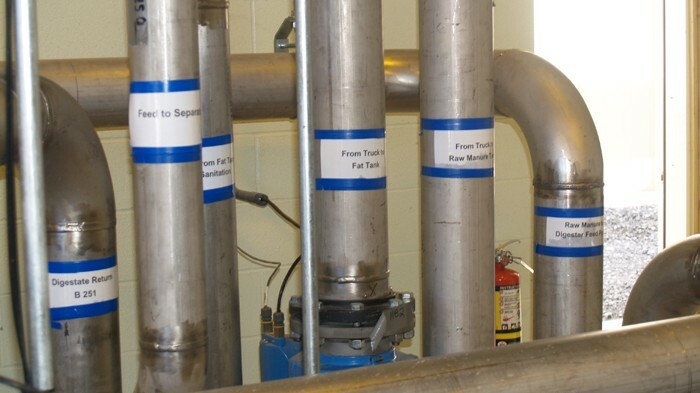 In December 2013, Zero Waste Energy Development Company LLC (ZWEDC) opened the first large-scale commercial dry fermentation anaerobic digestion facility in the United States. With the goal of taking organics recovery to the next level, ZWEDC desired not only to compost organics but also to extract its energy value. For more information, visit their website. 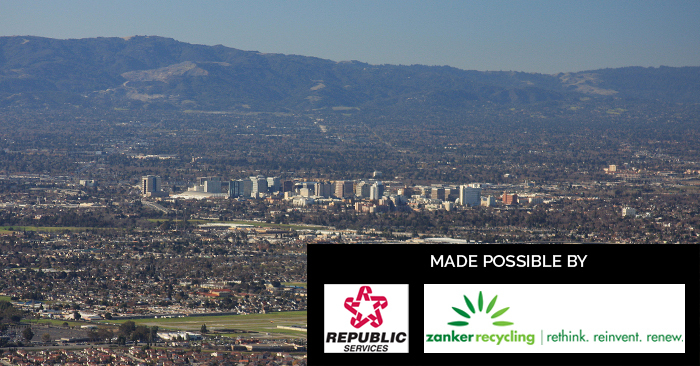 Republic Services provides innovative Wet/Dry collection services to all businesses in the City of San José. The Wet/Dry system has nearly tripled the business recycling rate from 25 to over 70 percent since July 2012! All businesses receive wet collection service which includes organics collection such as food waste and food contaminated paper products. 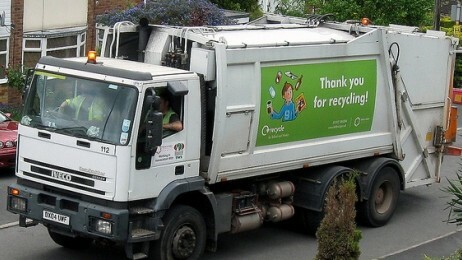 Dry waste includes recyclables and everything else. The materials are processed at the Newby Island Resource Recovery Park’s Recyclery. For more information, visit their website. Ecomondo – the 18th International Trade Fair of Material & Energy Recovery and Sustainable Development which takes place 5th and 8th of November. The Venice 2014 5th International Symposium on Energy from Biomass and Waste, between the 17th and 20th of November. Q: Tell me about the facility in San Jose and how it’s operating at the moment? Jo Zientek: The facility, which we just commissioned in November 2013, takes the organic waste from our businesses in San Jose. San Jose is a big city; we’re the third largest in California and the tenth largest in the United States, and we have about eight thousand businesses in San Jose. In 2012, we implemented a brand new business recycling program, and all our businesses are required to participate. Prior to that, businesses could select their own hauler and their own recycling service, but we weren’t getting a lot of good recycling out of our business community. So we went to a new system that all businesses are required to participate in, but that new system allowed us to have sufficient feedstock to open two big, high-tech waste processing facilities to process the waste, and one is this zero waste, dry anaerobic digestion facility. The facility takes organic waste – some is direct hauled from businesses, and others is first processed by another recycling facility, and the organic waste comes out of it. The facility, which is phase-one, can accept about ninety thousand tons a year, and it’s permitted to add two more ninety thousand tons phases for a total of two hundred and seventy thousand tons a year. And we’re working on the owner of the facility on ways we can help jump-start that expansion now. The facility has sixteen digester tunnels now and each is capable of generating about 1.6 megawatts of energy. The facility is interesting, because there’s a lot of anaerobic digestion facilities in the world – almost all are wet systems, and this facility is unique because it’s dry. 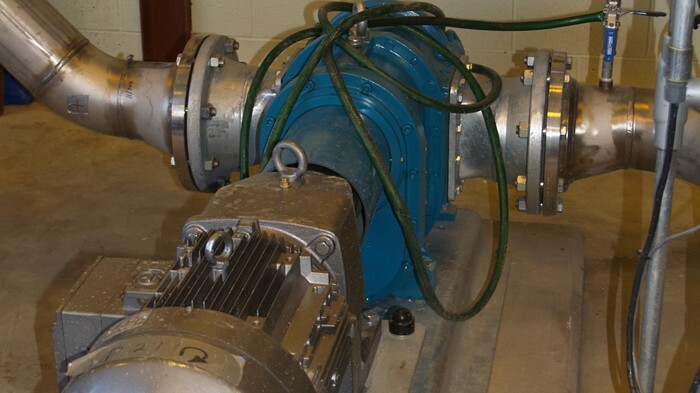 We don’t need that much water in, and we don’t need to deal with pumping the water out to make a more usable product. And it’s fully enclosed, so that allows it to be next to highly populated urban areas, because there are obviously odours associated with anaerobic digestion. Also, in-vessel composting tunnels (after the organic waste is inoculated with the digestate and goes through the twenty-one day process), then the material is moved to composting tunnels to continue curing, and that’s also inside. So, this initial ninety thousand tons phase is commercial waste, but we are looking at potentially moving residential organics to that facility – a lot of which we’re not collecting now. And then also other jurisdictions in Silicone valley can also bring their material here. Q: For our audience who’d like to learn more about positioning/choosing this type of technology in the AD sphere, please refer to Lesson 7 of our online course (which will be released soon). And can you talk us through the beginning of the project, in terms of the Request For Proposal process especially: how did you get it off the ground? JZ: It was actually a couple of different efforts that came together. It was an opportunistic project, I’m not sure if everything hadn’t come together quite as it did, we would have been able to get this first project off the ground, but certainly subsequent projects and the expansion will be much easier than the first project. But it began at the end of the year 2007 when our Mayor adopted a Green Vision that was the city’s economic development strategy. And certainly several cities in North America and I assume Europe too had a green technology spin to their economic development strategies as we were all grappling with recession and the economic downturn taking place. But in San Jose, ours was called the Green Vision, and it included some really aggressive goals to reduce water and increase renewable energy, increase energy efficiency, clean vehicles, trees, trails – those kinds of stretch goals to get our city more sustainable by the year 2022, and two of those goals came into play for this project were adopted by our council at the end of 2007 were increasing renewable energy in San Jose, and getting to zero waste. They were the two goals in that ten-goal Green Vision. So, we immediately had interest from one of our local haulers. The Bay Area is a little unique than other cities because we tend to have a lot of very independent, very creative local recyclers and haulers – not as many large, corporate, multinational haulers that are in other cities in the United States. And one of them said that they were interested in doing a renewable energy park. They wanted to do it on city land, and we have about two-thousand acres in the southern tip of San Francisco Bay that’s been our buffer lands, because we operate a large, regional wastewater treatment facility that serves San Jose and other cities in Silicone Valley, and we were looking at ways – concurrent with this project – that we can dry our biosolids that would help mitigate odour and get the process done faster and liberate some of that land that we’ve been holding as buffer land. So this proposal that came unsolicited after the Mayor’s Green Vision was adopted, was to use the buffer land for this project and potentially some other renewable energy projects. One challenge we had with this buffer land was that it was on an old, closed landfill that we knew very little about. I joke that the city probably bought it in a bar in the nineteen hundreds, and there wasn’t a lot of history on it, no one knew exactly what was in the landfill. The benefit, though, was the landfill was old so there’d been a lot of settling already done and it hadn’t been used for several decades. The other odd thing about this land is that although it was in the middle of Silicone Valley, it had no utility infrastructure to it. So although it was across the street from our wastewater plant, it had no sewer infrastructure, no power, no water, and no run-off system set up on it. JZ: Yes. It was almost a green field in the middle of Silicone Valley, and it was a very difficult site to develop just from the issue of the environmental sensitivity, plus it was on a closed landfill. In order to make sure anyone who was interested in looking at that site as projects for the green vision, we actually ended up doing a request for information to open up the opportunity, but we didn’t get any other project interest except this project from one of our current, privately owned recycling haulers. So that was going on, and we ended up taking their official request for interest, and ended up a due diligent process to see if we could begin this project. And then concurrent to that, we had been planning for several years to do a complete, evolutionary change to our commercial solid waste system. As I’ve mentioned before, anyone could pick their own hauler, but the problem with that is that they could lose a customer in thirty days – the city ordinance allowed them to get out of an existing hauler contract with thirty days notice. And the challenge with that is that haulers can’t finance infrastructure development to recycle without a guaranteed customer base and revenue stream, because as you know these facilities are very expensive. So, unlike our residential system where we had three big recycling facilities in San Jose set up to serve our residential customers, there was no infrastructure investment to serve our commercial customers in the last twenty years. So we decided to start the process of looking at making the system exclusive. It was a very, very long process; in the state of California, if you make a system or hauling contract exclusive, you have to give all the current haulers a seven year notice. So we did that. We did extensive stakeholder outreach, both with the hauling community and the customers. We had customers from everything from mom and pop restaurants and small service shops to Adobe and EBay and Cisco – so just a huge range of customers here in San Jose. Q: And when you were interviewing all the commercial businesses, what kind of things were you asking? JZ: We asked how was their existing service; if we were to make the system exclusive, what things did they want to see, what things did they not want to see. And then we also provided some information on how the current system is really inefficient – not only was it not recycling that much, all the haulers that collected from commercial businesses would basically go to every street every day because there was no routing efficiency, so it was creating a lot of issues. And in some respects (especially for small or medium sized businesses), they really weren’t getting rates that were that inexpensive because there was no efficiencies captured in the system, and the small businesses didn’t really have as much leverage when it came to bargaining for their rates as larger businesses did. So, it was really small and medium sized probably received the largest benefit. And then the larger businesses – because especially high tech firms, they have such a strong sustainability component and that’s important to their customers. So we got enough support to move forward, and that was a big step for us, because other cities have tried to go from a non-exclusive to exclusive system for the very same reasons, and had more of a challenge. I think in the pacific north-west, including Portland, as of yet hasn’t been able to convince communities to be willing to give up that kind of decision making power to do an exclusive system. Q: That’s a shame, but perhaps what happened in San Jose has been a bit of an inspiration or an example. JZ: Yeah, and it has been. Los Angeles was able to use ours as an example and I think just four months ago was able to get their council to approve a district system. New York City and San Diego is also looking at our system, so we’ve definitely been able to show we can get the high diversion, and I think we’re one of the – if not the highest diverting commercial system in the country right now, because all the waste no longer goes to landfill: it’s either direct hauled to the Zero Waste facility if it’s clean enough, or it goes first to a recycling facility near the Zero Waste facility for pre-processing and then the organic stream goes to Zero Waste. So, concurrently to that, we developed this whole request for proposals process for our commercial system. 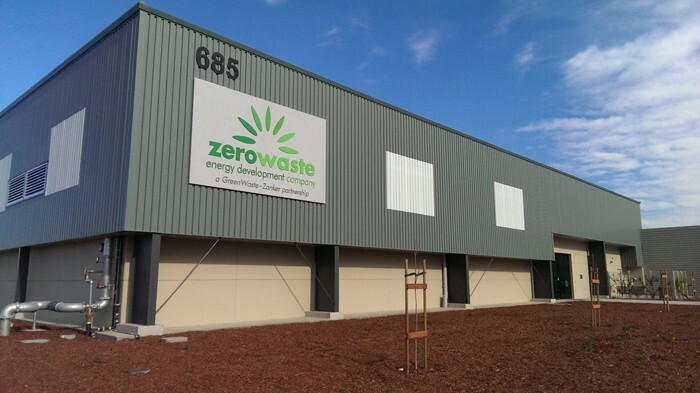 Zero Waste was already doing their due diligence on the site to build the facility, which they could use for residential or commercial organics. But they did end up bidding on the project to take commercial waste. 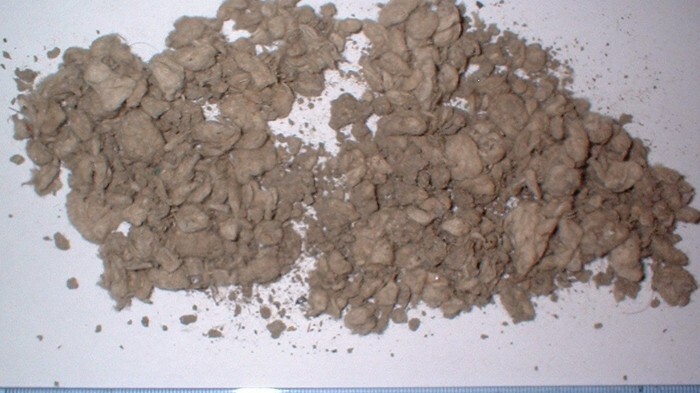 So, the opportunity of being able to submit a bid for our commercial organics – as they were looking at doing their du diligence on the side and economics – obviously was a huge lift for the project, because it meant they had the possibility of having a guaranteed feedstock if they were to build the facility. So even though they were happening on parallel tracks, that helped. So we ended up awarding the collection and non-organics processing contract to republic services, which used to be Allied and VFI. And the organic portion went to Zero Waste (the Zero Waste Energy Development Company), so that gave them the feedstock to build the facility. Q: How did the partnership with San Jose city shape the process, and in what ways did it speed the development of the facility along? JZ: So to bring that closed landfill site up to being able to be built upon (which was an extremely expensive proposition for Zero Waste), what the city did to help share the risk a little bit (and also benefit from this) is that we gave them credit. I think it’s a thirty year lease with a ten year extension option, and they don’t have to pay rent; they get credit each year against the cost they had to spend just to bring this site up to a developal condition, which is about eleven million dollars. So, bringing the power and the sewer and the water; officially closing the state of California ; doing the storm water run off system…those costs were roughly eleven million dollars, and so they have a rent they have to pay to us, but they get to the eleven million dollars and don’t have to start paying us until that eleven million dollars is paid off. And we benefitted from that, because we up-sized some of the infrastructure that Zero Waste put in, so if we wanted to do additional development in the area, the city could do that. So, we paid for that differential and that was a benefit – plus, if they ever leave, we get a site that’s much easier to develop that it would have been prior to that. And the other thing we did, which was very unusual for the city (and I worked on this lease with our economic development department – is that the lease they have to the city means that instead of them just paying us a flat rate, once that eleven million dollars is paid off, Zero Waste is going to pay us four dollars in change for every ton of organics that goes into the facility. And that’s unique for us: it helps the city organisation have some skin in the game in their success. So, completing that expansion of an addition two ninety-thousand tons means the city has an opportunity to make more money. So it kind of helps get my own organisation managing up and, if you will, have some skin in that game to want Zero Waste to be successful and expand. JZ: Yeah, and now, to fund the expansion, California is using some cap-and-trade funds to help AD facilities, and we are looking at that expansion as maybe one of the first projects to use California’s new funding source for these types of projects. And the benefit, obviously, of the Zero Waste project is that it’s shovel-ready, so it makes it hopefully very competitive for this round of state financing because we have the permits, and we have the plans, and it’s very, very difficult to be in that position unless you started four years ago! So, we’re hoping phase two and phase three are just much simpler projects. Q: When it comes to financing for the facility itself – it is quite a unique project – was it easier for it to get capital financing at the start due to the secured feedstocks and the partnership with the city? JZ: That helped. Some of the funding sources, (i.e. the California Pollution Control Financing Authority), I don’t think they’re quite as designed for emerging technology. And because this first phase was so new, I think the partners of the Zero Waste Energy Development Company really had to bring their unique financing relationships that they already had to the table. They were also able to get some Federal money – I think it’s the Department of Treasury 1605 fund tax credit money. But I don’t think they could count on typical financing that’s available for tried and true technology. Because of their position – they have done a lot of innovative recycling facilities. Another one in San Jose that processes all our waste from our multi-family housing apartments. They were able to leverage some relationships that they already had, but I’m not sure it would be as easy for a company that didn’t have their relationship to start this one. That being said, we built the first on in California, so the second one – now that banks and regulators can tough and feel and hug this one – is going to be infinitely easier than this first one. So, I think the next one – wherever it is – is just going to be easier and maybe would have an easier time getting access to typical financing vehicles that these companies use. Q: Let’s talk more about the permitting process itself and the city’s role – what was it like, and was there any struggles you faced? JZ: The onus was on the developers, Zero Waste, to get the two permits, but there were some issues the city had to work through. And the thing that made this project tricky was that it was on a closed landfill in an environmentally sensitive area, so that in and of itself took a long time to resolve. And we had to come up with the monitoring plans; so we have testing wells to make sure there’s no contamination in the groundwater, and the whole site is at sea level next to the sea, so infiltration underground is an issue. So, Zero Waste now does that on behalf of us. And that required a solid waste facility permit from the state. Because the state had never seen or touched a dry AD facility like this, it was complicated. I think the state ended up subcontracting with a firm on the east coast to evaluate the permit. Some of the designs we got, because it was a German technology, came to us in German and I think they had translating issues. 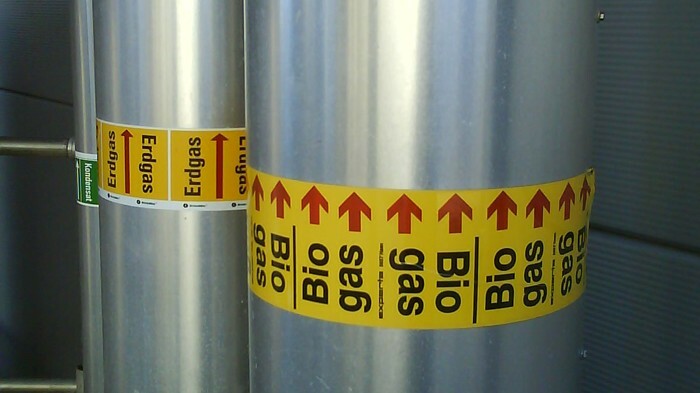 Even the facility now, some of the software that monitors the environment for the microbes still reports in German and know they have to use Google Translate to translate it! But everything is to keep those microbes happy. So that was challenging, and there were a lot of questions, and a lot of them had to be answered by the German technology firm and then translated back to English. So that was challenging and that process ended up taking two years to get the permits done. And then the building permit itself, which the city issues…so, the state issues the solid waste permit, and the building permit is issued by the city. But I know we had extensive back and forth which required hands-on meeting with a lot of city officials, Zero Waste, and the contractor to figure out whether those composting cells, where the anaerobic digestion was actually taking place for twenty-one days, had to be fit for human habitation or not, and that had a significant difference on how they were constructed. So that took months and months to work through. So again, the second facility will just be so much easier than this one. It was a lot of work and a lot of educating everybody on what this was, and what it wasn’t, and it was big effort. Q: Would you have any words of advice on this whole topic for those our there who are now thinking of starting the next one? JZ: I think definitely being able to do a demonstration phase. If your permitting agency is just not familiar with it, getting a demonstration project is probably simpler than starting off with a commercial scale facility like we did. It just requires a lot of determination, and getting your organisation, especially your government organisation comfortable with taking thoughtful risk I think is just a shift that you have to make. You know, we’re working on another demonstration project with a different German technology on biosolids. And the first technology provider went bankrupt so we had to find another one who also ended up being a German company. But getting your organisation comfortable and just that that’s normal – if you’re looking at doing cutting edge things, these companies will go bankrupt, they will take a year or two to permit even a demonstration project. So just make that part of the culture, because that’s just how it is when you try to do new things in this space. 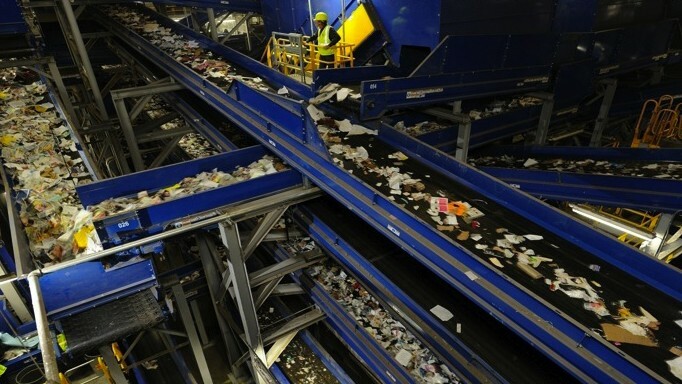 Californian Policy: How Can It Help Other Organics Recycling Facilities? Q: In terms on policy, is there anything you would like to see changed or brought in to help make the development and running of similar MSW AD and composting facilities easier? JZ: Certainly at the regulatory level, getting a unified approach to how to permit these facilities, so each jurisdiction isn’t stuck starting from scratch with each similar facility. So, we had been working with the state of California on a standard EIR process for different organic technology types, like anaerobic digestion, and this is very helpful because it’s just too difficult for cities and jurisdiction’s that want to build these things from scratch. Getting really clear permitting direction from the regulatory agency including, you know – in California the water and the solid waste aren’t in the same organisation on the state level, but the facility needs permits from both those arms, and getting them to work together and come up with a more uniform approach will help. If it’s known what the path is to get the permits, it’s just easier and more likely that both the private sector partner and the government agency will take the risk. But it’s the unknown – where you don’t know if you’re just going to be spinning for years and years trying to figure out what the permitting path is, it just doesn’t make the risk worth it. So being able to have a uniform approach for the different types of facilities throughout the state I think would really help mitigate the risk. I think California is trying to do that with anaerobic digestion facilities, and we’ve been part of that process on the state level. Q: It can be very tricky dealing with all the regulatory bodies and the permitting process of different agencies – we get stuck into this topic in Lesson 5 of our course, and talk about the best strategies you can use to get your project off the ground. So those who might be interested, head on over to the course section of our site and take a look. Q: And we’re running out of time now, so the last section, I’d like to get your words of advice for other cities out there looking into doing something similar – maybe some tips on strategy? JZ: Yeah, I think it’s very important for the public-private partnerships for to get private sector partners to approach you, is to have some well-publicised successes that show your city is wiling to stick it out and be successful. So even if it’s a demonstration project, just taking that first step on a smaller project and then publicising the success of it, because it’s just such a big investment for a private sector partner, and they want to make sure that you have a track record. So, doing some smaller projects and then getting the word out that you mean business, that you’re in it for the long haul, and you’ve successfully implemented both private sector and granting agencies. Because a lot of times these projects, including the gasification project that I’m talking about, we actually get funding for that through the state or federal grants, so it just really helps to do some smaller projects and being successful – both marketing yourself to a granting agency and a private sector partner. We’ve really found it helpful to have on-hand meetings and getting everyone in a room when we discuss the permitting issues. Especially with the new project: a regulatory agency or a staff person in some permitting agency hears one thing, and then maybe comes out with a ruling that was based on a conclusion they decided that wasn’t accurate. Like, this issue we had with having to make the cells where the organic material spent twenty-one days with the microbes fit for human habitation, even though the only time people were in them was to put material in them – and then they sealed them up. And it really helped talking through it – face-to-face talking through, because the conclusions that were instantly or immediately drawn about what it was lead to an extremely difficult permitting hurdle to overcome. So just sitting them down and walking them through it really helped. And it was just a lot of that type of meetings we had to do to walk people through and get them over the conclusions they initially drew, which weren’t accurate.